DAVID LE/Staff photo. 3/5/15. 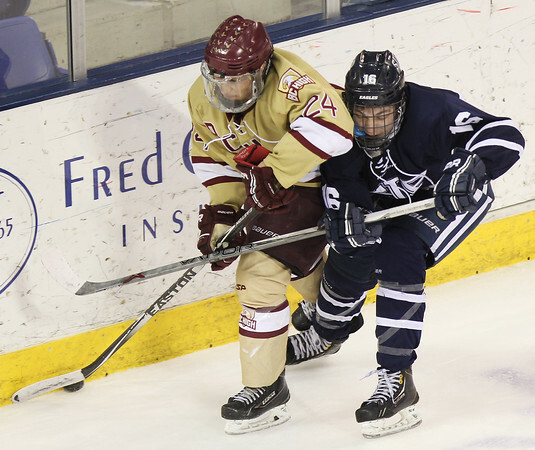 St. John's Prep junior Billy Falter (16) runs BC High senior Alec Flynn into the boards and tries to take the puck.